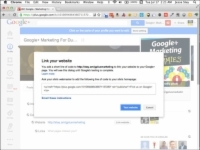 You should really consider linking your company’s Google+ Page to your website. 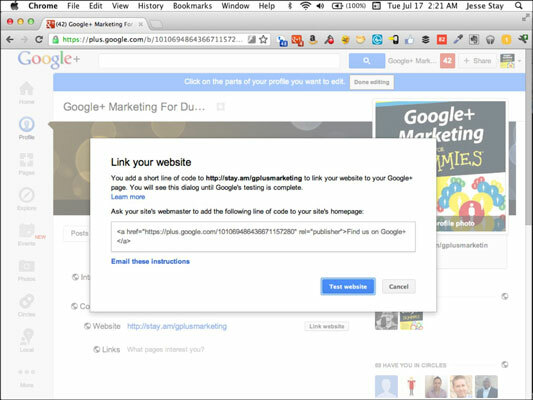 You can do this through a small snippet of code Google gives you or a Google+ Badge for your Google+ Page that you can put anywhere on your website. 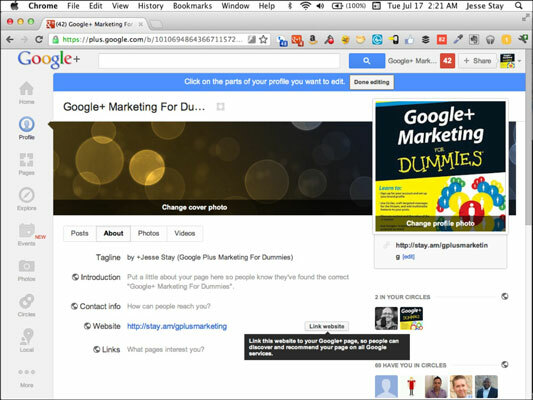 1Log in as your Google+ Page by clicking your name in the upper-right of plus.google.com and selecting your Google+ Page from the drop-down list. At this point you should be able to post as your Google+ Page, and you’ll be on the news feed for your page. 2Go to your Profile section for your page via the links on the left. 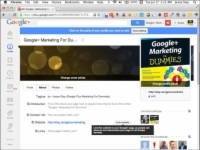 This will take you to the profile page for your Google+ Page. 3Select the Edit Profile button in the upper-right (or somewhere at the top, depending on your screen resolution). Now you’ll be in edit mode for your profile. 4Make sure you’ve entered your website in your page’s profile, and click the Link website button. To add a website, just click the website field for your page’s profile, and you’ll be able to add a link for your website. The Link website button is on the right and will initiate a dialog on top of the page that gives you a code snippet you can copy and paste into your website. 5Copy and paste the code where you want it to go in the HTML for your website. By default this shows up as an <a> tag that you can paste as a link anywhere on your website. If you don’t want this visible to visitors, just interchange the a with link so it’s a <link> tag instead of an <a> tag, and leave all the other attributes there. You can then place it in your website’s <head> section where the average visitor won’t see it.